This is the second part of the post I wrote as a guest blogger on Lulu.com. If you want to know the first three in the list you can read those here. The fourth thing you’re going to need as you work toward your goal of publishing is advice. As I suggested, a plan is like GPS, and if you think about it, GPS gives you instructions along the way to make sure you reach your goal. The right information at the right time assures you will reach your destination. The same thing is true on your publishing journey. You will come to points where expert advice and encouragement will keep you on the right track and help you keep moving forward. Writing and publishing and marketing are learned skills, so finding people and resources that can serve as the voice in your GPS is vital. Identify people and sources you can trust and listen to them. Seek out a small, trusted few rather than the opinion of the masses. There are websites where you can seek out the opinion of the crowd, but I question how valuable that type of feedback can be. You could put your manuscript out there and have a hundred people comment. Fifty of them may think it’s great and fifty may think it’s terrible, but that doesn’t really help you. So find a small, trusted group rather than the unvetted crowd. Now, you can accomplish this a number of different ways. Depending on what community you’re in, there might be local writing groups you can join. The Author Learning Center also gives you that opportunity to get feedback through your Author Circle if you have a book project. No matter how you do it, just don’t try to take this journey alone. The fifth thing you need to become an author is persistence. As the saying goes, it takes years to become an overnight success so persistence is really, really important. You will meet challenges and even face discouragement and rejection along the way, but you have to believe in yourself. You have to believe that you have something important to share with others. In fact, throughout history there are numerous of examples of well-known and successful authors being rejected multiple times before they were published. Take L. M. Montgomery, author of Anne of Green Gables for example. Her series of books has been a must read for young people for decades. It’s inspired by her own story growing up on Prince Edward Island. A number of years ago, I had a chance to visit the place where Anne of Green Gables was set. In fact, Canada has turned the site into a national park. I was extremely impressed with how they created an experience for visitors, but one thing that really struck me was in her biography. She said she would have never been published had the post office not been in her uncle’s home where she lived. The reason why is because back then you would send a manuscript to a publisher, and if the publisher declined, they would send it back wrapped up in brown paper and tied in string. So Montgomery said that if she would have had to go into town and walk down the street holding that package, she would have been very embarrassed. However because the package came back to her uncle’s house, it gave her the courage to continue to send it out. Eventually a publisher picked up her books, and since then, they have gone on to sell millions of copies around the world. She was persistent and it paid off. More recent examples include Lisa Genova, Louise Hay, and James Patterson. Lisa wrote a book called Still Alice but could not find a publisher who was interested so she self-published with iUniverse. It was subsequently discovered by Simon and Schuster, who picked it up and it became a best seller and eventually a movie for which Julianne Moore won an Oscar. Lisa’s persistence was demonstrated in that she self-published even when no publisher wanted it. Louise Hay is another example. Louise founded the publisher Hay House when she was sixty years old. Sadly, Louise passed away in late 2017, but she has left a significant legacy in the life of people. She decided she had something to share that could really help people and largely helped create the category of Self Help. No publisher at the time would produce her books, so she first self-published and then started the company that continues on to this day. Finally another great example of persistence is James Patterson. He’s arguably one of the more famous authors we have today, but many people don’t know he was actually rejected by thirty-one publishers. In each of these examples the authors believed in their work, and they were persistent. Now I don’t know if you are the next Lisa Genova or James Patterson; however, if you are not persistent and you don’t believe in your work, it will be tough for you to reach your goals. In fact, the likelihood that you will transform your desires into reality increases tremendously if you share your written goals with a friend who believes in your ability to succeed. One author calls it having “a partner in believing.” I think that is such a great phrase because that’s what you need—someone who believes in your idea as much as you do. Someone who believes you have something to say or share that is worth preserving and telling. That’s why, along with persistence, you need to be accountable and you need someone to keep you accountable. That way when you get discouraged or stuck, there is someone to help you stay focused on your milestones and goals. Writing a book takes time and can also include periods of self-doubt or discouragement. That’s why you need someone to help you stay motivated when you may be ready to give up. Even prolific authors like Stan Lee needed encouragement. Stan started Marvel Comics and has helped create some of the most well-known superheroes. At one point before he had made a name for himself, he was ready to give up. Like most salaried employees, he had bills and a mortgage, but at age forty writing action scenes became unfulfilling, and he wanted to quit. His wife told him to create a script that he found meaningful, and the rest is history. So do not ever underestimate a well-timed word of encouragement. We all need them. Information alone is not enough. Along with making sure your book has all the element s of a great story, you also need to make sure your characters are interesting, consistent and an element of your book that draws readers in and keeps them interested. Good characters or poor ones will often determine whether your readers stay with you to the end of the journey or get off at the first stop. If readers lose interest in your characters, they usually lose interest in the story. The Davinci Code is one example of a book that has all the elements of good characters..
Past experiences help make us who we are and explain many of the decisions we make. So even if you don’t reveal everything about the lives of your characters in your story, it is still very helpful to write a biography to use as a guide for your writing. Identify key events in their lives and key people who influenced them. Answer questions like where did they live, where did they go to school and what jobs did they have. Who helped them along the way? Who hurt them? Knowing these things about your character will ensure you have them act consistently and help you understand what drives them. If you don’t understand a character, your readers won’t either. Inconsistency in your characters will confuse your readers and make them lose interest. Once you develop a character in a certain way, readers are expecting that character to behave in accordance with his or her personality and motivations as you have revealed them. If that character behaves in a way that doesn’t make sense, your readers will notice. Be consistent in even the small things, such as hair color, to big things, like the character’s manner of speaking. 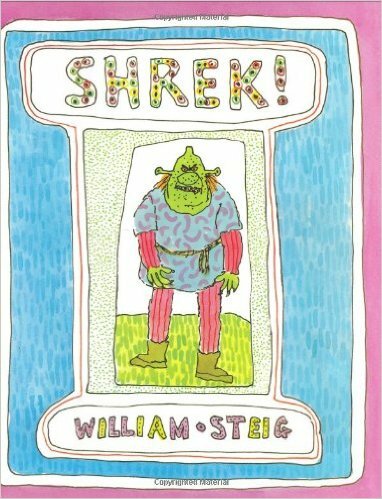 Shrek is not the stereotypical ogre, which is one of the reasons readers are drawn to him. A good story surprises the reader and rewards them for reading. Sometimes that happens with a plot twist, but it can also happen with what I call a character twist. One of my favorite examples is the children’s book, Shrek. Even though Shrek is an ogre, he is actually kind and helpful. He is not the stereotypical ogre roaming the forest wreaking havoc in people’s lives. Make sure there is something unexpected about your characters, but that it aligns with the biography you wrote for them and they act true to themselves throughout the story. Sidekicks can be some of the most likeable and interesting characters in the story. In some cases, readers can like them as much as the main characters. They can help or hinder the main characters. They can provide comic relief or threats. The key is to make sure they move the story along and not just there to take up space on the page. Here again, you may want to consider writing a biography of the character before writing he or she into the story. Often times, because we love our characters so much we want our readers to know everything about them right away. So there is a temptation to tell the reader everything about our main character right at the start. We want to give a full physical description, tell the life story, and reveal the innermost thoughts of a character as soon as he or she is introduced. But that can create a very lopsided story and get bog down the reader in too many details. Introduce your characters, but let your reader get to know them better as the story unfolds just like they would do in a relationship in real life. It will make your book much better. One of the ways you can keep a reader interested in your characters is engage all the senses as you reveal them. Sight is the most obvious sense to use because you can describe what the character looks like or what they are wearing, but don’t neglect the other senses of sound, taste, touch, and smell. Aroma can tell us something about a character. For example, you don’t need to tell the reader your character smokes. Instead, you could say the jacket he wore had a hint of cigarette smoke. It still conveys the idea that this person likely is a smoker, but it does it in a more interesting way. Hopefully, you have found these suggestions helpful. If you have other keys you would like to share, please use the comment section to provide your tips. One of the keys to writing a good book is making sure your manuscript contains the best of ideas or story you want to convey. That means you need to make sure you include all the main ideas and supporting concepts for a nonfiction book and all the key plot points and characters in a fiction book. Brainstorming before you begin writing can help you capture scattered thoughts and explore new ones you might not have considered. You can brainstorm about your book in general to get started, or you can brainstorm something more specific, such as a particular character, the setting of your story, or a chapter. There are several brainstorming techniques that are useful for writers. Here are a few to try that could help make your book even better. Instead of focusing on the answers and what you know, think about questions you could ask about your topic or plot or a character. “What if” is a great place to start. What if the character was from another planet? What if no one spoke the same language? What if you wrote a workbook to accompany your non-fiction book? “What if” can lead to a number of new ideas. Another way to approach this technique is create a sheet that has six categories: who, what, when, where, why, and how. Then start writing down questions that need to be answered. Who are the antagonist’s allies? What is the one thing the main character cannot live without? Where will the story unfold? Give yourself a time frame, and write down as many questions as you can. At the end of the brainstorming session, dig deeper into some of the interesting questions that arose. Mind mapping can help you explore new directions and new ideas for your book. To expand your basic idea, try the technique known as mind mapping. 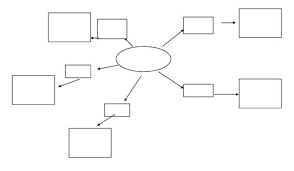 Mind mapping is a technique used to organize your brainstorming ideas. Start with a circle in the center of a blank page (use a large sheet of paper, a whiteboard, or even a sidewalk and chalk). In the middle of that circle, write your main idea or initial thought, and then branch off from there. Draw other circles branching from the first one, filling them in with related ideas or subplots. Continue expanding on each subsidiary idea and then on ideas subsidiary to the first sub-idea. Continue quickly, creating more branches and associations. At the end, your page will be filled with a mind map of ideas that will help you develop your story. The first two brainstorming ideas are intended to create a breadth of ideas around a topic, but making a list will help you explore the depth of a topic. To start set a number as your goal for your list. It could be ten, or 20 or 50. The number doesn’t matter as much as the commitment to create the list. Then write a statement or idea at the top of the page. For example, at the end of the book, the main character will ______________. Then start making a list of all the possible things that could happen to the main character. Most of the ideas on the list won’t be viable, but the goal is to just open up your thinking to find that one really killer idea on the list. Don’t worry about the quality or order of the items you are listing, just get them out onto the page. Then go back and review your list when you are done. You will probably be surprised at some of what you listed, but look for that one idea that can make your book really special. Have you used brainstorming techniques? I trust these three simple ideas are helpful to you, but perhaps there are other techniques you have used in your writing process. If so, please share those in the comment section and I will post for the other readers to see. Can outlining make your writing even better? Here are 3 methods to use and find out. I have to admit I was not a fan of outlining and have heard multiple debates among writers about whether an outline is needed. Some see it as essential before they start the writing process. Others see it as too restrictive and something that limits creativity. I probably would have fallen more in the latter category, but over the last few years, I have come to really see the value of establishing an outline before writing. No matter what method you use, an outline could improve your writing. Having a good outline is like having a good map. GPS on our phones has made maps old school, but not that long ago, having a map was critical before embarking on a journey. For me an outline simply serves as a map. It establishes where you are starting and what your final destination will be and some of the key milestones you will pass on your journey. 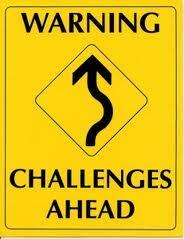 It doesn’t mean you can’t take a slightly different route once you begin your journey or add a stop or two. It just simply gives you a path to follow as you write. Too often, first time authors, write to get down on paper the essence of what they want to say, but don’t make it easy for others to follow along. An outline can help avoid that problem. Three options for you to create an outline. Over the years, three different methods for outlining have become the predominant options for authors. There is no ranking of one, two and three. Rather, they present choices for you to find which method works best for you. The following list will touch on the basics of popular methods. In a summary outline, you start by sequentially listing plot events. Then write a short summary of each chapter. Clearly define goals for each chapter and discuss the characters, settings, and chapter timelines. This kind of outline is linear in nature. It can be used in conjunction with a classic outline to create an even more detailed blueprint for your book. It is also most often used for a fiction book. 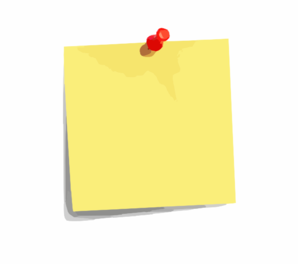 Using Post-It notes can be an effective way to storyboard. 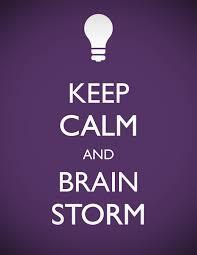 want to get all your ideas down and then begin to play with options for how the book or story could flow. You can use index cards or sticky notes and write down all the key events or points you want to make. Then on a wall or table, begin to layout the order you want the ideas or events to appear. This method is really helpful if you are a visual person and need to see the flow. It also helps you see where you may have holes in the story or a weak transition. Have you used a outline when you write? If so, what method? Have you found it helpful. Use the comment section to let me know what you think. Once again, I am going to draw from the experience of Kathy Ide to encourage and educate. In this video clip, which is featured on The Author Learning Center, Kathy shares some important tips for those who have not published before. The interview is less than three minutes long and definitely worth watching if you are working on your first book. Lots of great information to help you with writing, publishing and marketing. The tips are best said by Kathy, but here are the key points she makes. Passion for your idea needs to be your motivation. Once you start the work of writing, it can be easy to forget the passion you had for your idea at the start, but don’t. Remember what compelled you to want to write. It is a long road from the idea to finished book. This is not a new idea, but it is good to be reminded of it. Tenacity is needed to write and re-write. Like the tip before, this is a reminder that you need to stick with it to get to your goal and impact readers with your writing. Don’t give up. Remember there are people out there who will want to read what you have to say. 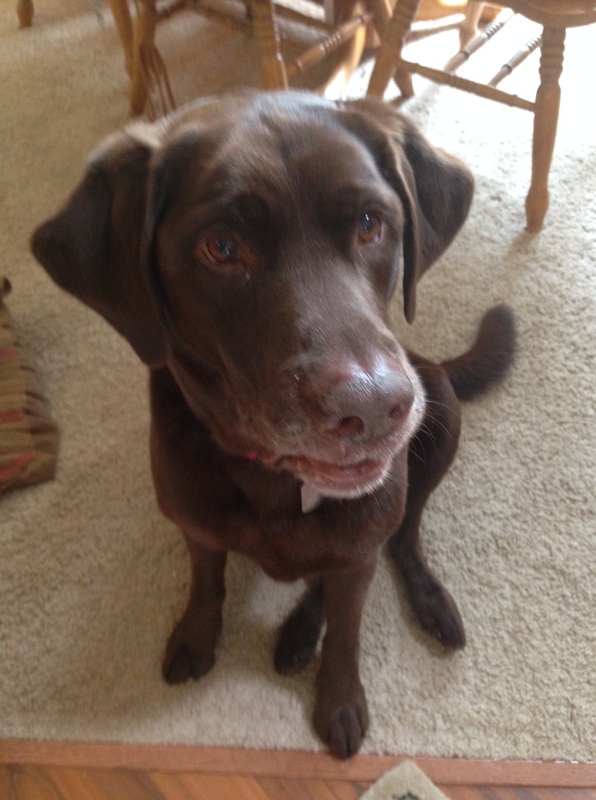 Eight years ago we brought a chocolate lab into our home who answers to the name of Charlie and I find him to be a most interesting and delightful animal. As I was observing him a few days ago, I realized there were a number of habits which he has that would actually be beneficial to writers. Watching Charlie’s routine is a reminder of the habits writers need to develop to get to their goals. One of the keys to accomplishing your goals is setting a time on the calendar to write and keeping it like an appointment. Charlie has times like that. Every morning, he expects me to take him out about the same time and feed him about the same time. I don’t know if we have trained him or he has actually conditioned us, but the most important thing is he is committed to the same activities each day at almost the same time without fail. Aspiring authors who try to fit in writing around their other activities almost never get to their goal. Aspiring authors who try to fit in writing around their other activities almost never get to their goal. We can walk the same path. We can sit in the same room. We can follow the same schedule, but Charlie will always take time to take in a new smell or find a new toy or pause to watch the actions of a child he does not recognize. Writers should do the same. Pause to take in new information and sense experiences because you never know how it might help your writing have greater depth and interest. This is similar to being naturally curious, but one thing I have seen is Charlie always notices a sound or smell or animal or person that is different from what he normally sees. Writers would benefit from the same attention to observation. From those new sensations and inputs, you may find inspiration for a more robust description of a scene or an approach to dialogue or something else to improve your story or writing. Find a favorite spot to write and you will be more productive. I have written about this quite often. My personal experience and conversations with other writers have confirmed that where you write can impact what you write. Some people need complete quiet. Others need the stimulus of a public space. It really doesn’t matter where you write, as long as you know the place where you write best. 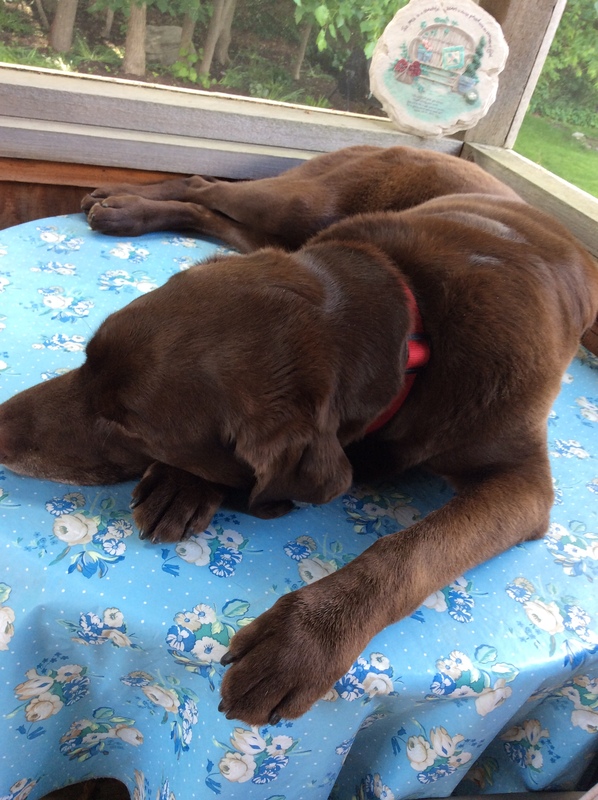 As for Charlie, he has certain places, often where the sun is coming through the window, where he likes to hang out. Not sure how productive he is in those spots, because he tends to nap there, but the principle is the important thing to remember in this case. It really doesn’t matter where you write, as long as you know the place where you write best. Writing and rewriting is a long journey with stops of self-doubt along the way so it is easy to give up, but don’t. Learn to celebrate the accomplishments of the day. Even if you just write a couple of pages or change the dialogue in a scene, focus on that. Charlie is happy if all he gets to do in a day is run and chase sticks. He gets excited by what he got done that day. Writers can learn from that. 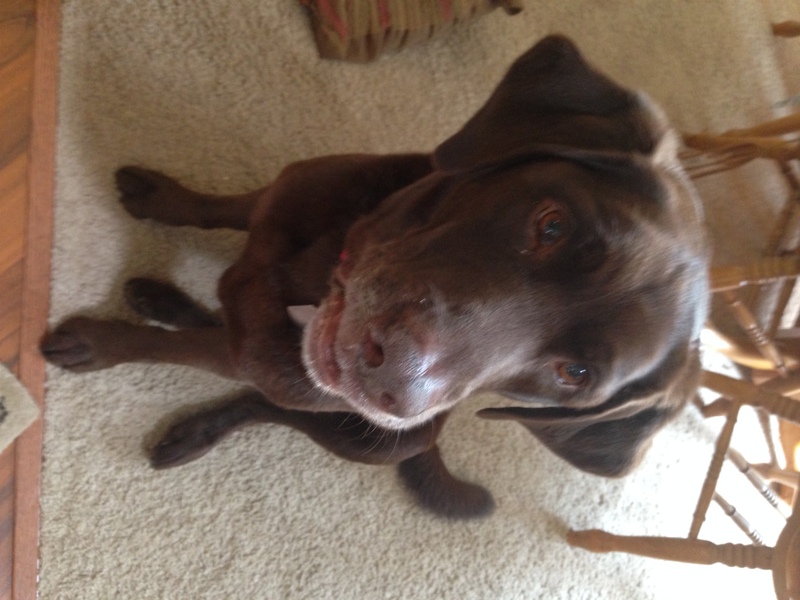 So if you have been stuck or laid aside your manuscript, hopefully Charlie’s routine will inspire you to get back at it and accomplish your goal. Having an idea for a book is really easy. Starting a book is easy, but writing to finish is difficult and very few people actually reach the goal. Why is that? I believe it is because the path to a finished book has many obstacles. Why do some authors get published and others do not? Well, I have authored three books myself, but more importantly, I have had hundreds of conversations with authors. It is from those chats that I have seen five common roadblocks that prevent writers from getting the manuscript to finished book. Here is that list and some ways you can overcome them. Unclear what you will do when you are done writing. Forgetting why you wanted to write the book. There is usually some moment of inspiration or impetus that causes an author to want to write. It is very easy along the way of doing the hard work of completing the manuscript to forget that reason. Motivation is tied to remembering why. So it is a very, very simple thing to do, but take a piece of paper and write down why you wanted to write the book in the first place. Put that paper where you can see it every time you sit down to write. Losing the discipline of writing regularly. One thing I have seen that is common to all authors who are successful in self-publishing is they determine the best time to write and they block that time on the calendar. Every author who I have spoken to usually has a time that is better than others for them to write. Most authors can write more in one good hour than in three hours when not in the right space or time. I remember one time I was sitting with an author who is quite prolific. She has published more than 30 book and I wanted to test this theory with her. I was having lunch with she and her husband. I asked her the question, “Is there a particular time that you find yourself more productive in writing?” Before she could answer the question, her husband said, “5:30 in the morning.” He knew being married to her that there was a time when she was more productive than not. So that is an important thing to remember, and what I find is if you try to write only when you have time, you will not be as successful. Other things will rush in and fill up the most productive time you have for writing. So make an appointment with yourself on your calendar and block that time.